We had to move away from Utah this past winter. It's a long and not so happy story, but all is well now - in fact, it's better than ever. We moved to Vancouver, Washington along with my parents. During our crazy transition, the kids and I were so excited about Disney's Moana. I love the ocean and was thrilled to see a new character with a diverse and beautiful history. We loved it! The music was outstanding, the imagery was gorgeous and the theme of the story was perfect. My daughters loved Moana's courage and ability to begin a new chapter - a perfect movie. 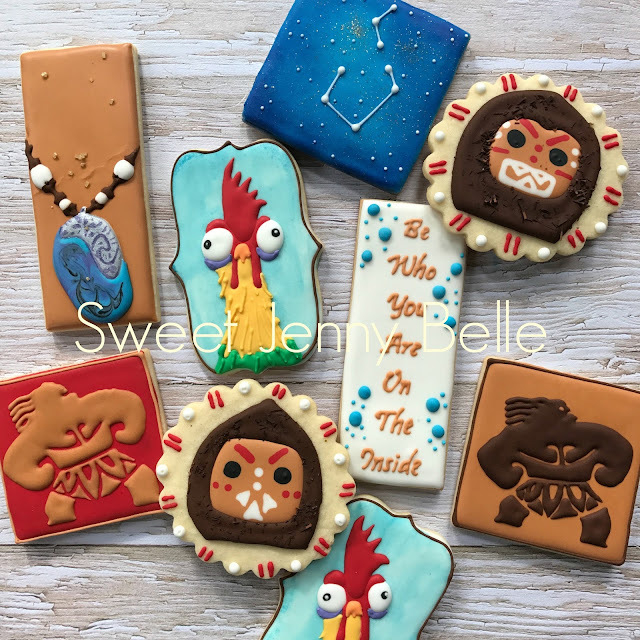 During our move, I didn't have access to all of my fun cookie decorating tools and honestly was crazy busy unpacking and helping the kids get settled. I'm finally ready and so excited to be back. I have missed all of you and cookies! 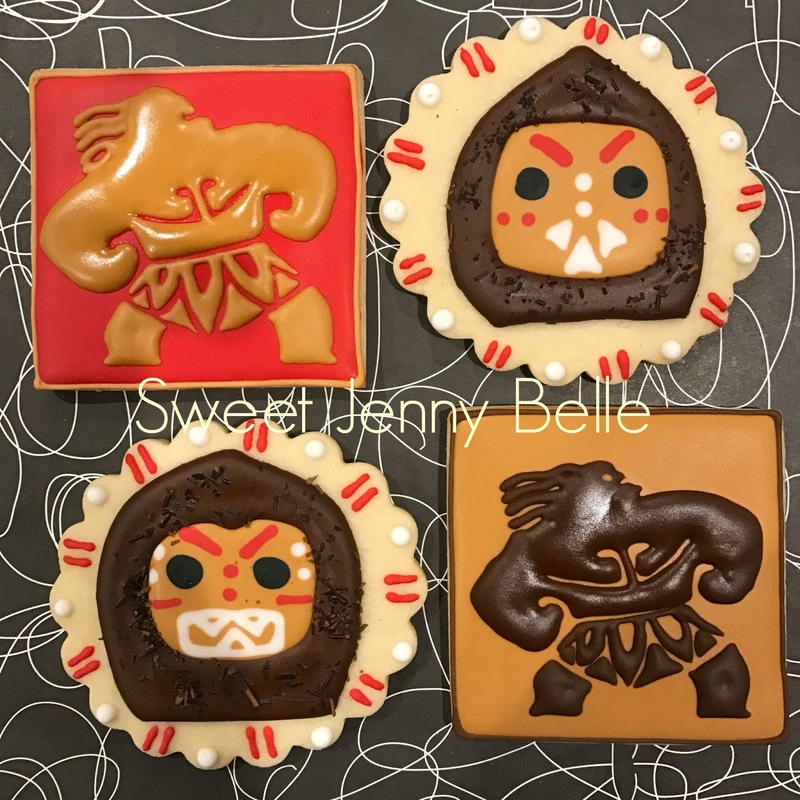 It seemed very appropriate that my first set back into the world of cookies should be the theme of Moana. The first character I wanted to create was Hei Hei. 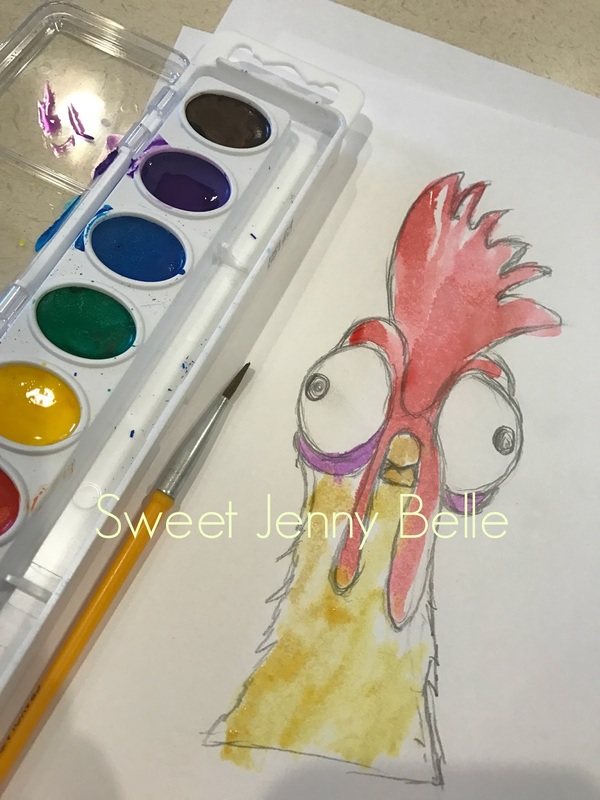 That silly chicken makes us all laugh our heads off. I tease my kids that I look like him by the end of the day because they drive me bonkers. I did a rough sketch to get an idea of the shapes needed to draw him and added color for fun. The more times I draw a new cookie, the easier it is for me to ice him later. And here is he is in all his goofy glory! Those icing eyes were a hoot to make. My kiddos fought over who could gobble him down. Seriously. I look like him when 5 o'clock rolls around..
Next up, I created those angry, but cute Kakamoras and Maui's tattoos. The Kakamora's faces were created with a wet-on-wet style. The coconut shell was iced on after with some large sprinkles added to create that hairy husk appearance. Maui was actually one of the easier cookies, but he is a favorite on my Instagram account. And this trio was my favorite of the bunch. Moana's necklace, Maui's constellation and Grandma's wise words. Sigh. This movie was just awesome. Moana's necklace was painted with a metaliic edible silver food paint. The stone was a wet on wet design, blended together to give it a rock appearance. Maui's constellation was flooded in a turquoise blue with edible glitter sprinkled while it was still wet. I then sprayed a dark blue along the edge with my airbrusher. If you haven't see Moana yet, what are you waiting for? 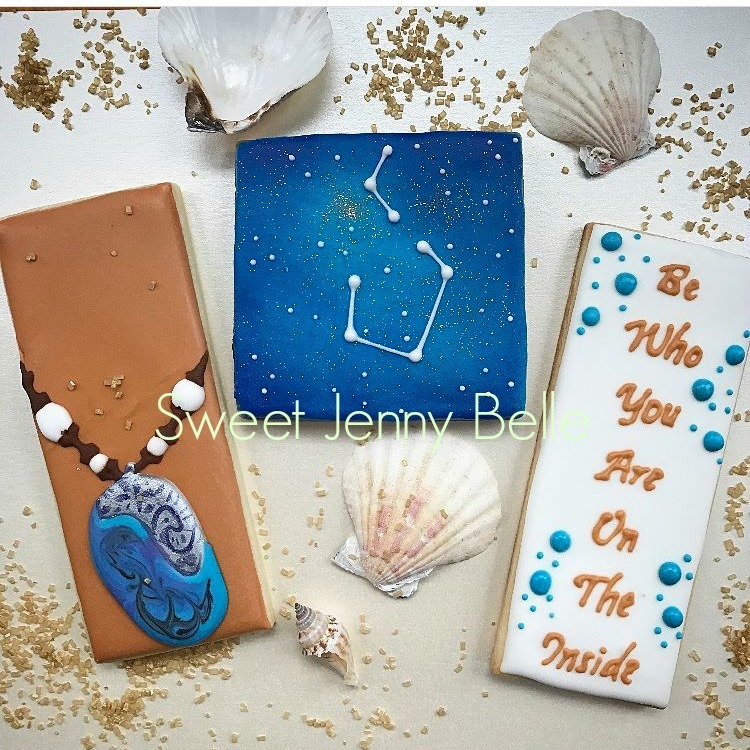 You will love it and I hope you loved looking at these cookies. 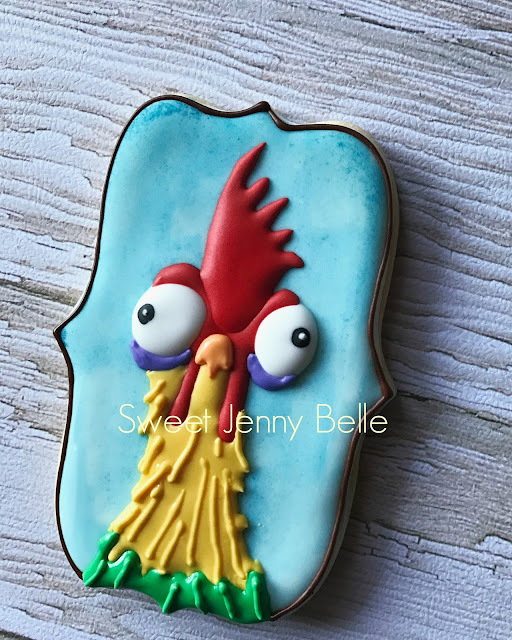 Come back next week for a new cookie recipe that is perfect for Easter!